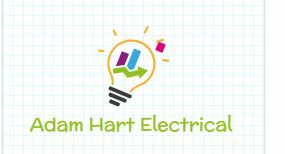 Adam Hart Electrical - Alarms/Security, Electrician based in Epsom, Surrey. A local, reliable and friendly service operating in New Malden, Wimbledon, Raynes Park, Kingston, South London and Surrey. Established in 1996, Adam Hart Electrical has been delivering a professional installation service for over 15 years within commercial and domestic industries. The electrical work undertaken conforms to the new building regulations - Part P approved with NICEIC. Competence and professionalism of electrical contractors undertaking design, installation, commissioning and maintenance of electrical installations. We only work with the best materials available and provide a guarantee on all of our work. We never compromise quality for time and give my clients realistic schedules. We strive for honest customer service with a smile.